We had another busy but productive week. Things are finally coming together and we are getting into a good routine. I am so excited to see progress!!! 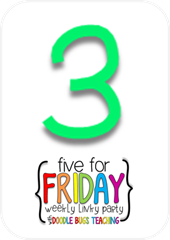 This past week we introduced the third part of Daily 5, Word Work. 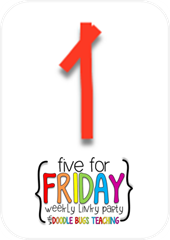 I introduce Daily 5 a little out of order according to the sisters but I do what works best for me and my students. This is how I run Word Work. I have 10 drawers and the same activities will remain in the same drawers all year long. This way the students know exactly what to do when they pull out a drawer and how to do it. It helps eliminate time explaining what to do and allows students to immediately get to work and not waste precious time. 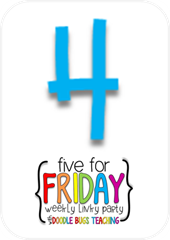 The activities stay the same but the words the students use each week change. Each student has their own sight word ring that is stored in this box. They are each assigned a number and that is where their word ring is. I add the new sight words for each week to the ring so they will have more words to practice each week. This week we practiced a few of the drawers so they could get the hang of each activity. 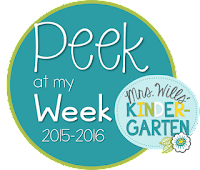 All of these activities come from Miss Kindergarten Love's sight word pack. All the materials they need for each activity, except for their word ring, are stored in the drawer so there is no looking for supplies and they can get right to work.There is even a direction card in case they forget what to do. Here are some of the activities in action! Now let's take a peek at next week. Next week we will be introducing Listen to Reading. This is always a favorite center. Click the pictures to download a copy. Trying to find the time to blog during the first month of school seems impossible. Actually trying to find the time to do anything the first month of school seems impossible. Between the craziness of prepping, planning, changing your plans 1,00 times because your kids are so different than last year, and pure exhaustion, I feel like I don't have time to do anything. You should totally see the disaster I call a house, lol. Maybe next month things will settle down and we will be back in a routine. 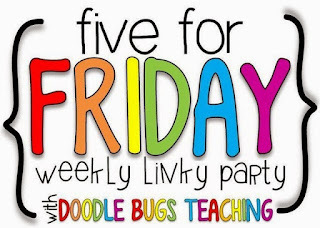 Anyways, I stopping by today for a super quick link up with Doodle Bugs for Five For Friday on a Saturday! Here's a quick peek at a few things we've been up to this week! I got my first NAEIR order!!!! I was so excited when I saw this sitting on my front porch when I got home Tuesday. I was kind of shocked at the size of the box though. Did I really order that much?!?!?! Well let me tell you, when you click Quanity 6, that means 6 DOZEN!!!!! Whoops, lol. But seriously guys. All of this was only $45 and free shipping!!!! There are 72 packs of base 10 blocks, 48 fine point sharpies, and each box contains 18 rolls of Washi tape!!!! No clue what I am going to do with that much Washi tape but Pinterest projects here we come! How did this happen?!?!?! How did my baby girl grow up so fast?!?!?! I cannot believe that she started 7th grade this week. Where does the time go? So proud of what a beautiful and sweet girl she is becoming! Absolutely love these from Cheryl of Primary Graffiti. I printed and framed these for my team as a small way to help them start the week. Perfect simple little gift that they can look at throughout the year! 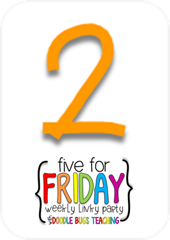 Head over to her blog for the freebie. I finally finished up this massive project!!! This has been on my to do list forever and I have been wanting to get it completed. Well, it is finally done and posted! All 243 pages of it! 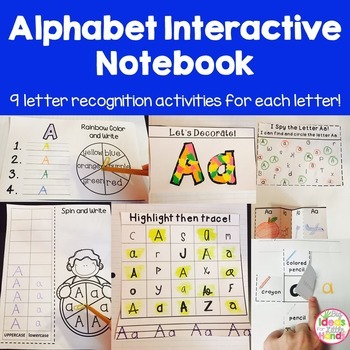 There are 9 interactive activities for each letter of the alphabet. Plenty of fun to help your kids learn their alphabet throughout the school year! Head on over to my little store to check it out! Well I am off to get things ready for Monday! Have a great weekend and hopefully we can all get some much needed rest too!